When you click on a PDF download link in a web browser such as Internet Explorer, Firefox, Opera, Safari, Google Chrome and etc, the Acrobat PDF (Adobe Portable Document Format) file will automatically open within the web browser itself using Adobe Reader plugin or add-on for the browser, occupying a tab or a window. If you don’t like this auto open in browser behavior, and would like the PDF file to open in Adobe Reader instead, you can configure to launch Adobe Reader to open the PDF file once a link is clicked to be the default action. Run the installed Adobe Reader. Click on Edit in the menu bar. Then click on Preferences in the drop down menu list. Click on the Internet category on the left pane. 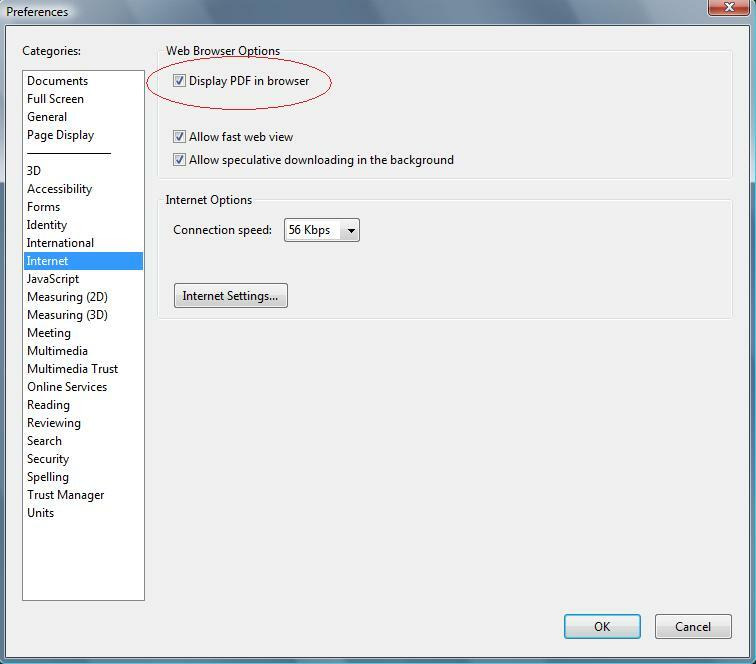 Uncheck and untick the check box for Display PDF in Browser. The next time you download a PDF file, it will auto open in Adobe Reader instead of IE, Chrome, Firefox, Opera, Safari or other web browser.